The weather in Toronto this winter has been best suited for hibernating. 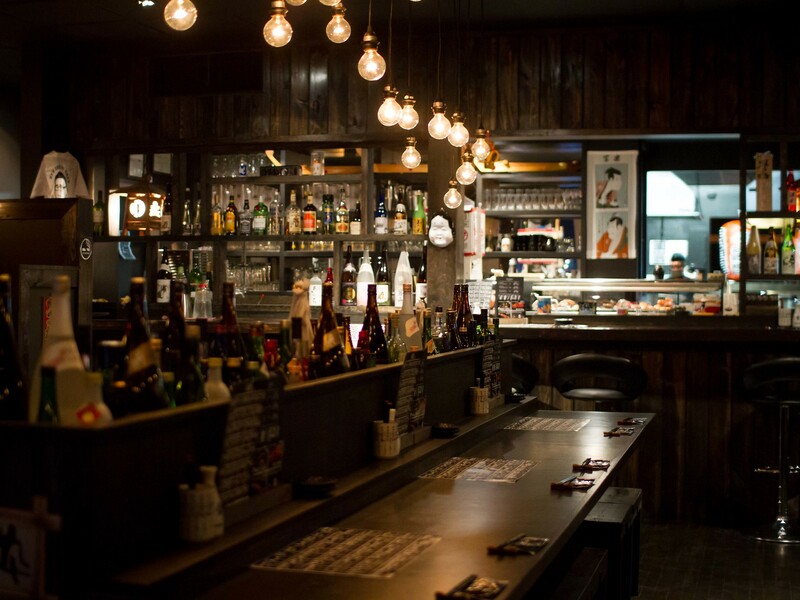 It took an enticing invitation from Kushi Sake Bar for me to venture out into the cold. Kushi Sake Bar is a Japanese izakaya that opened 6 months ago on Eglinton, between Avenue and Yonge. 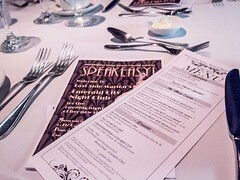 They’ve recently updated their menu with special winter items and have been inviting bloggers to sample the new dishes. 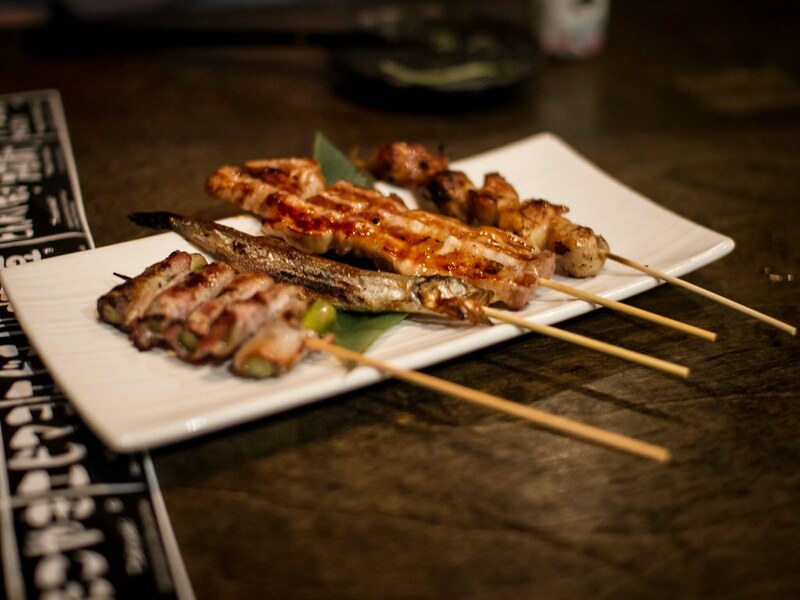 I was happy to be included and was super excited to try out the latest izakaya addition. Disclaimer: All drinks and dishes were provided free of charge by the restaurant. All opinions expressed below are wholly mine. Atmosphere: Dark walls, warm lighting and dark wood furniture make the dining area feel intimate and cozy. 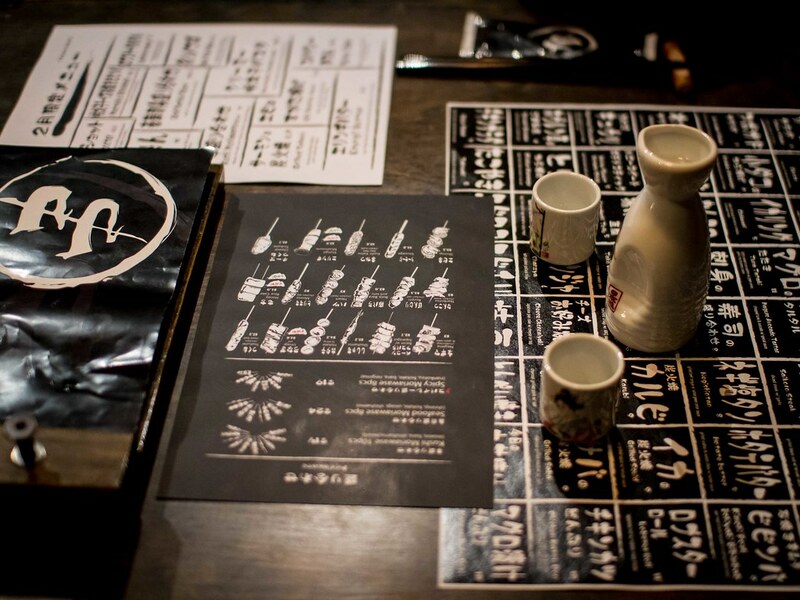 Sake bottles line the sushi bar and decorate the long bar like table across the centre of the space. 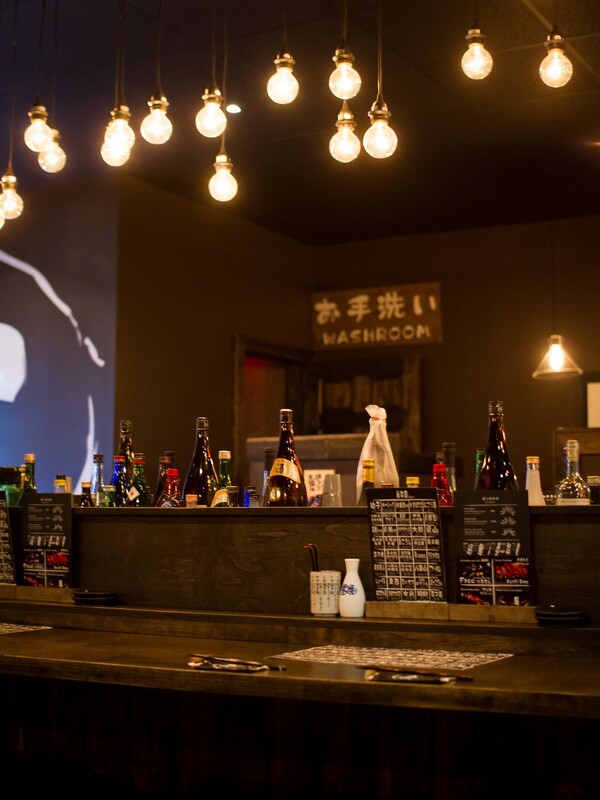 Booths are located along both walls with tall separators offering privacy to each table. The BF and I stopped by early on a Thursday night when the restaurant was still quiet. By 8pm, the space began to fill up. 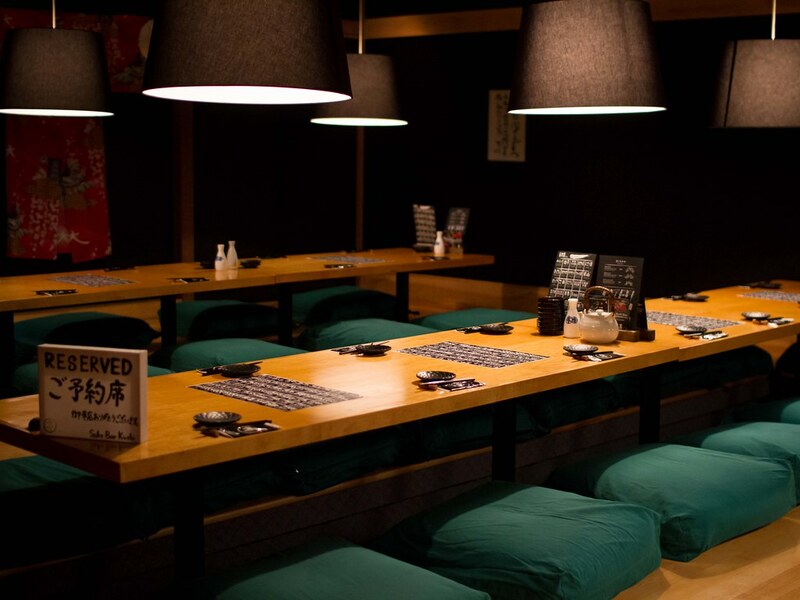 A private Zashiki room is also available in the back of the restaurant for large parties (up to 40 people) with space under the table to sit normally, not having to kneel. This would be a great venue for a large groups or private party. Service: Our server was very friendly and polite, bowing each time she left our booth and explaining each dish as it arrived. Food arrived quickly and we were well taken care of. I would say English is probably not the first language for most of the wait staff and there is a slight language barrier. There are daily specials such as ½ price sashimi on Wednesdays and set course menus available. 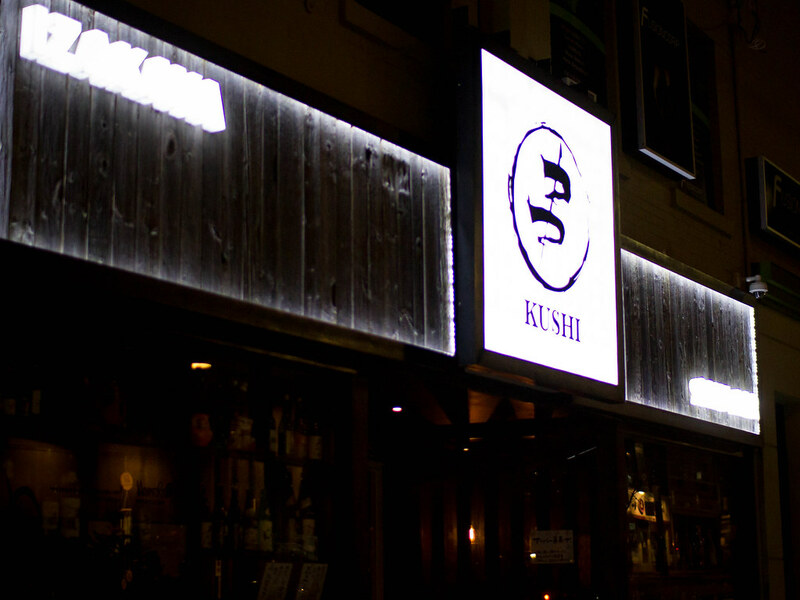 Food: One of the main reasons I was excited about our visit to Kushi Sake Bar were all the positive reviews I had read. It really seemed like a hidden gem. 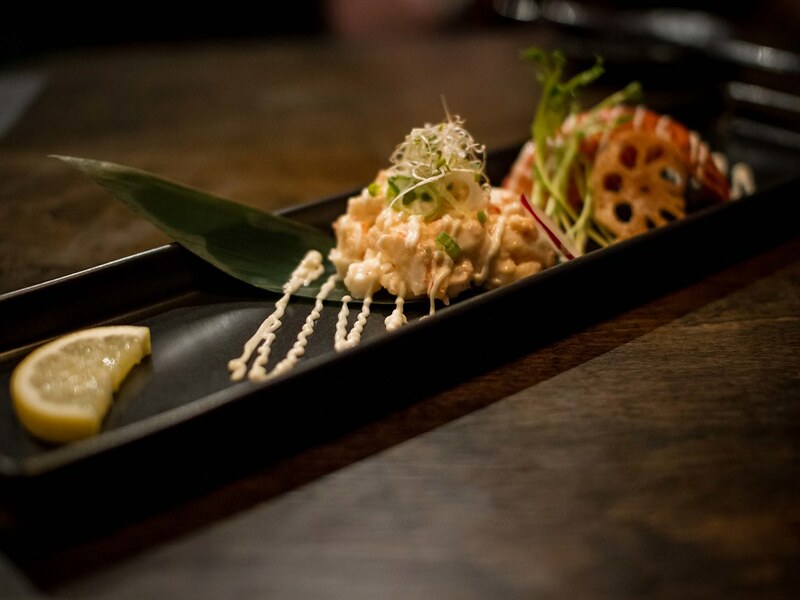 Kushi has over 40 sakes available, including my favourite yuzu flavoured sake, You’s Time. 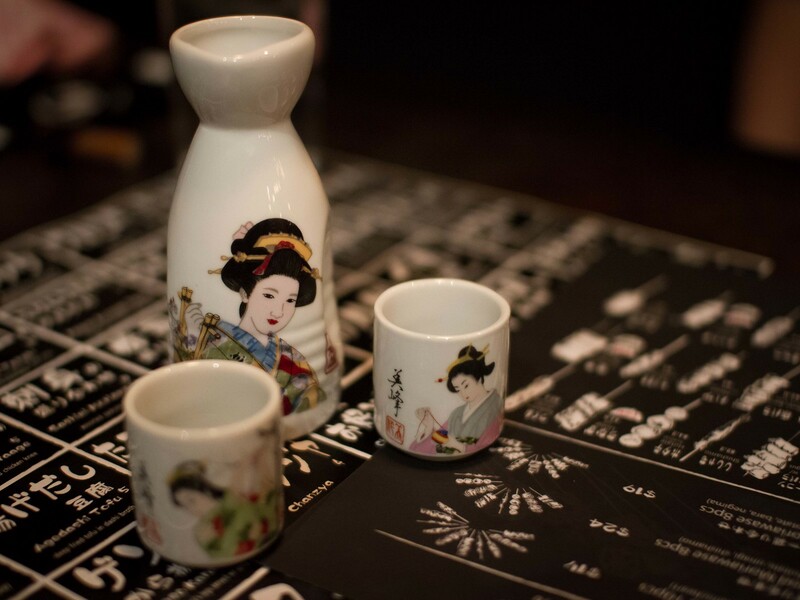 We were served a decanter of hot sake, perfect for the evening. Normally I like my sake cold but this one was smooth and super easy to drink. 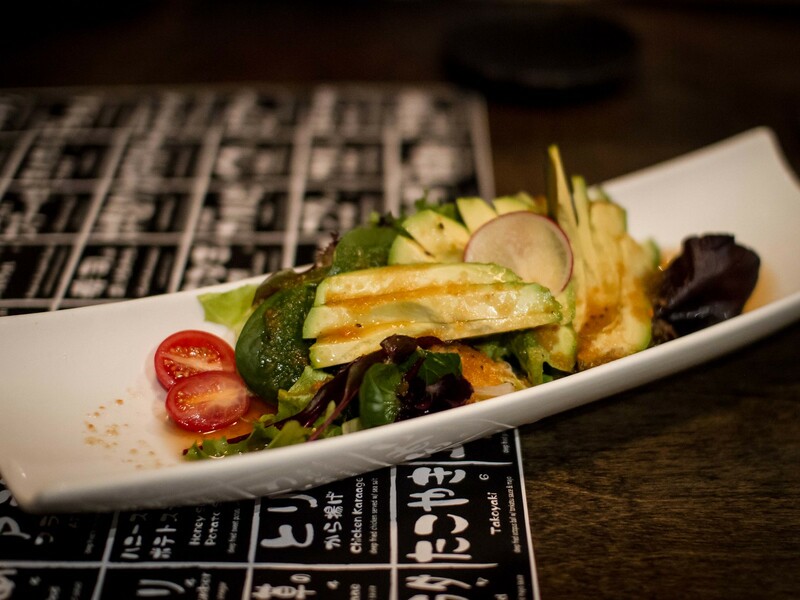 The meal started with an avocado salad that had a generous serving of dressing that was a little on the sour side. Half of the avocado slices were ripe and creamy but the other half were still a little too fresh. I really liked the ebi mayo. They were very lightly battered and smothered in a great tangy sauce, which tasted almost like thousand island dressing. 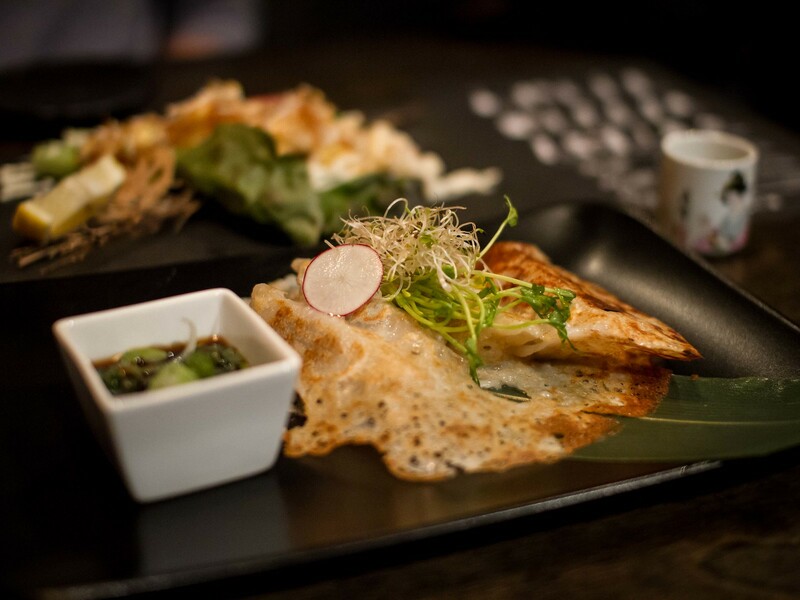 A plate of pan fried gyozas were next. I liked the pea and alfalfa sprout topping and the gyozas were tasty. Some of the batter crust was soggy though and could’ve been crispier. 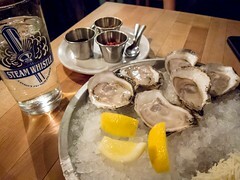 This was followed by a lobster tartar that was more like lobster salad. 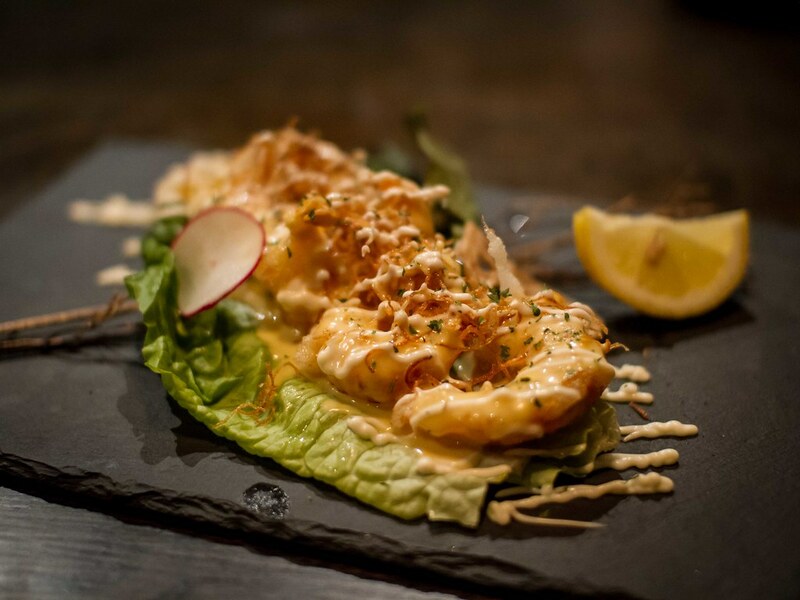 The meat of the lobster was cooked and mixed liberally with Japanese mayo, an ok dish. I generally like my lobster less garnished. Moving on now to the grilled/fried dishes. We started with four charcoal grilled skewers, bacon wrapped asparagus, a fish, pork belly and chicken tail. I’m not sure what part of the chicken is the tail, but that was my favourite skewer, fatty and crispy while the BF liked the bacon wrapped asparagus. I thought the pork belly was too lean and not charred enough. The fish was ok, not too fishy and grilled well. Our server then brought over a plate of squid karaage and cheese okonomiyaki. 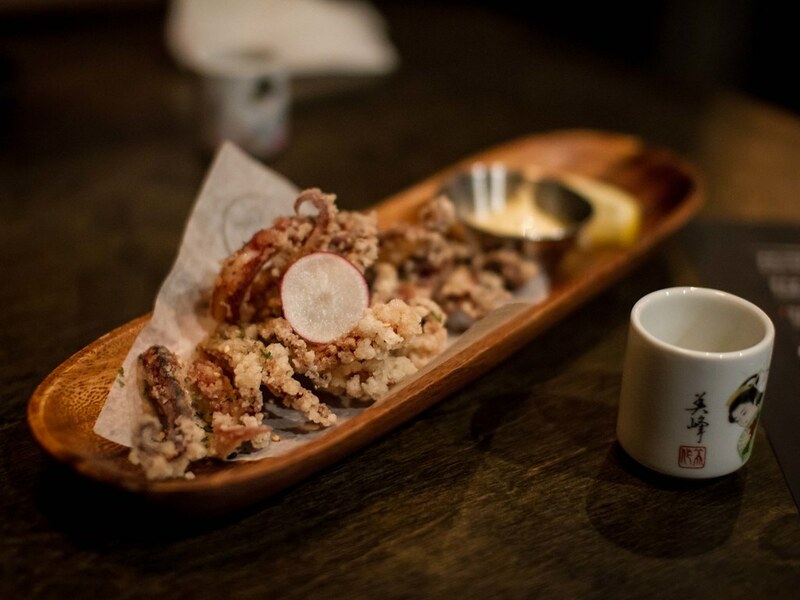 Only the tails of the squid were used, lightly battered and fried making each piece extra crispy. 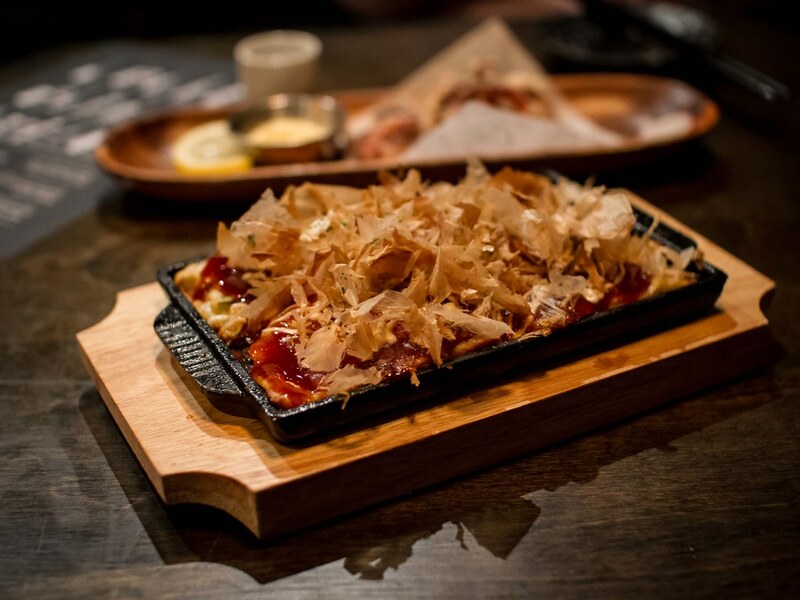 Another favourite of the night for me was the cheese okonomiyaki, so cheesy, so many bonito flakes and a beautiful crispy bottom. 10/10, would order again. Our meal ended with a classic bibimbap that was solid with a good amount of kimchi. 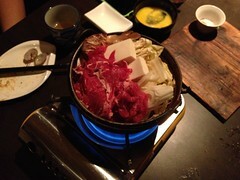 It was a good portion size and the stone pot was hot to form a nice rice crust. 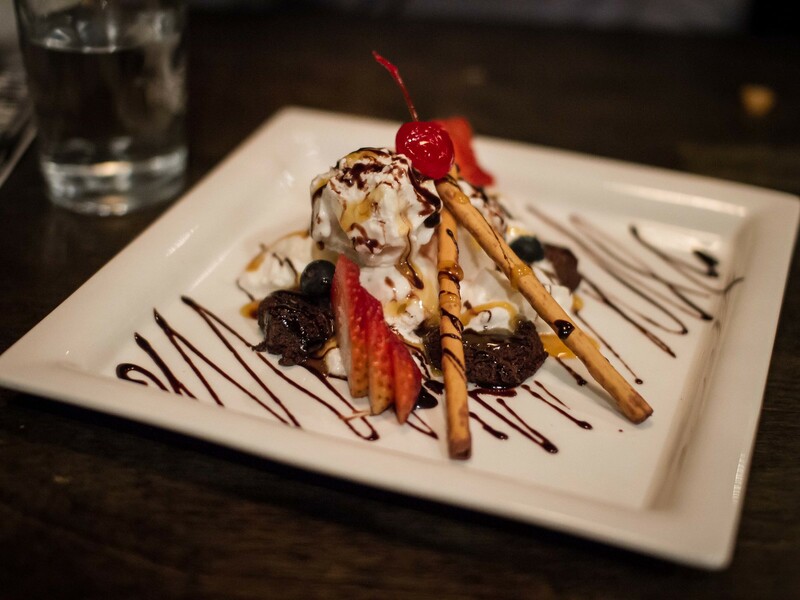 Dessert was a fresh baked brownie covered in vanilla ice cream, whipped cream, topped with strawberries and a maraschino cherry. Overall, I can’t wait to go back dragging friends in tow. 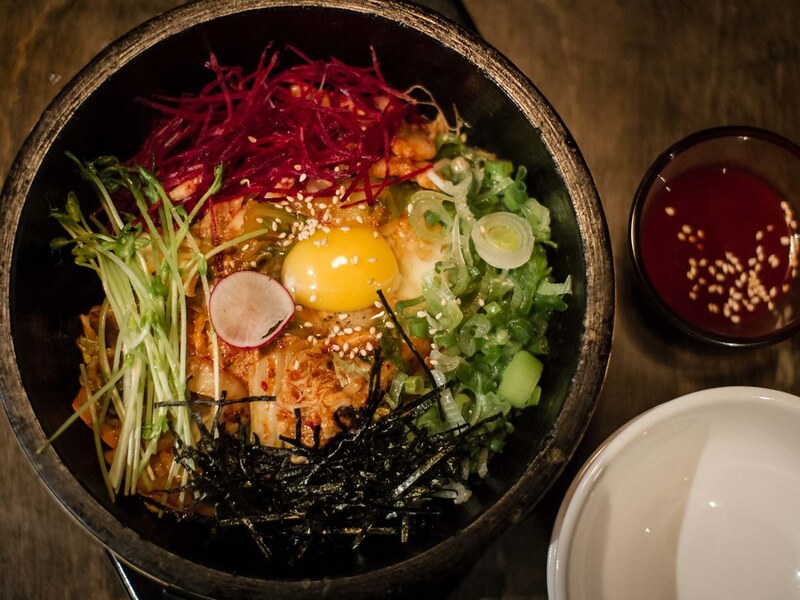 The midtown location is convenient and every dish was good to great. Snazzy photos! 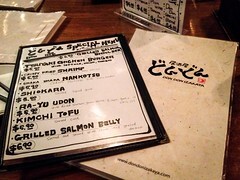 Love the “10/10 would order again” comment — hilarious :D. The okonomiyaki sounds good, looking forward to trying it! I hear they have great Tuesday happy hour skewer specials? 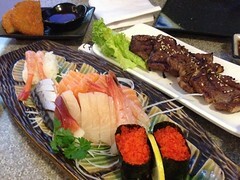 1/2 price sashimi on Wednesdays!